It's no secret that bicycles possess magnetic properties. I often play a little game like in these three photos from last weekend. 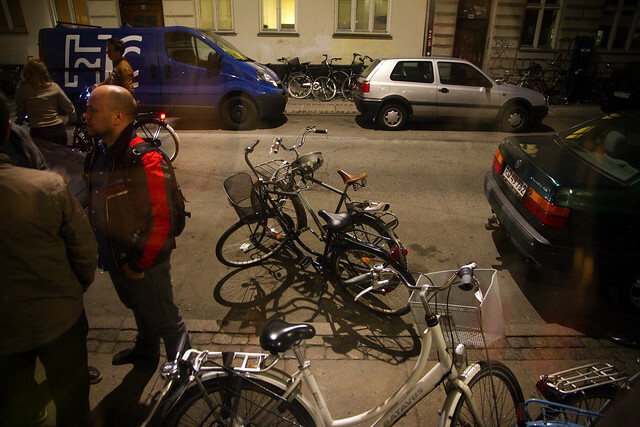 Parking my bicycle in an unorthodox spot and watching it attract other bicycles. Small bicycle anthropology field studies. Last Friday I was out with a friend and we ended up - as we usually do - at a cool, tiny bar called Riesen. It was still early... about 1 AM. By chance there was a gap in the car parking on this side street and with a lack of space along the buildings, I happily parked my bicycle right there. Twenty minutes later, another bicycle appeared. After 2 AM the bars start getting busy. An hour later, when we left to go to another bar, this is how it looked. 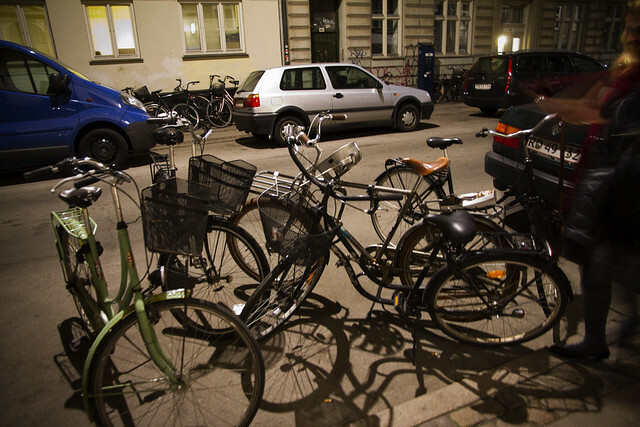 Five bicycles taking up the same space as one car. With space left over for more. The concept is, of course, well known. 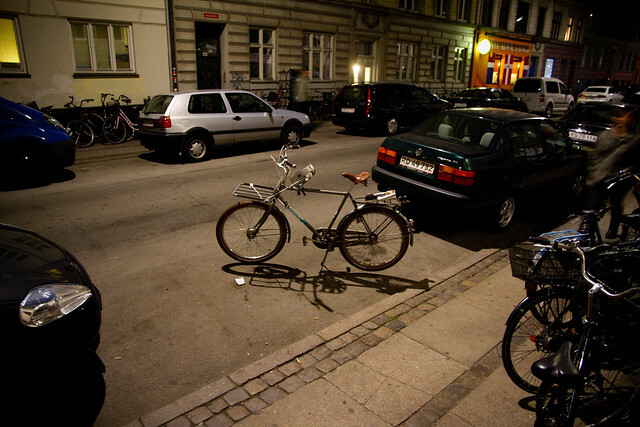 Copenhagen's parking zones are a prime example, as is this art project in the Netherlands.